Persistent homology has proven to be a useful tool in a variety of contexts, including the recognition and measurement of shape characteristics of surfaces in ℝ3. Persistence pairs homology classes that are born and die in a filtration of a topological space, but does not pair its actual homology classes. For the sublevelset filtration of a surface in ℝ3, persistence has been extended to a pairing of essential classes using Reeb graphs. 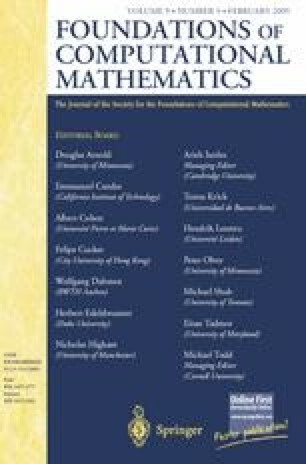 In this paper, we give an algebraic formulation that extends persistence to essential homology for any filtered space, present an algorithm to calculate it, and describe how it aids our ability to recognize shape features for codimension 1 submanifolds of Euclidean space. The extension derives from Poincaré duality but generalizes to nonmanifold spaces. We prove stability for general triangulated spaces and duality as well as symmetry for triangulated manifolds. Research by all three authors is partially supported by DARPA under grant HR0011-05-1-0007. Research by the second author is also partially supported by NSF under grant CCR-00-86013.